I usually volunteer at the following sessions during school term-time: Highgate Family Centre on Tuesday morning and on Fridays, next to the weighing clinic at Hornsey Central Health Centre on Park Road. 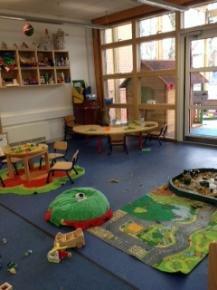 Highgate is a family centre attached to a school so the centre is only open in Haringey term time. Hornsey Health Centre breastfeeding support is also sometimes closed in the school holidays but the weighing clinic next door (9.30-11.30 Fridays) is only closed on public holidays. For maps and sessions times, see below. Highgate Family centre, Gaskell Road, N6 4DU. IT IS ALWAYS A GOOD IDEA TO PHONE ANY CHILDREN'S CENTRE BEFORE MAKING THE JOURNEY TO A GROUP TO CHECK A SESSION IS STILL HAPPENING. ​Parking on North Hill is free before 10am. Some limited on-street parking in local streets after 10am.